Most people under 25 either live at home or rent. Fact. Well, maybe not quite a fact, but a lot of people rent. And being able to personalise a space is so dependent on what type of landlord you have. 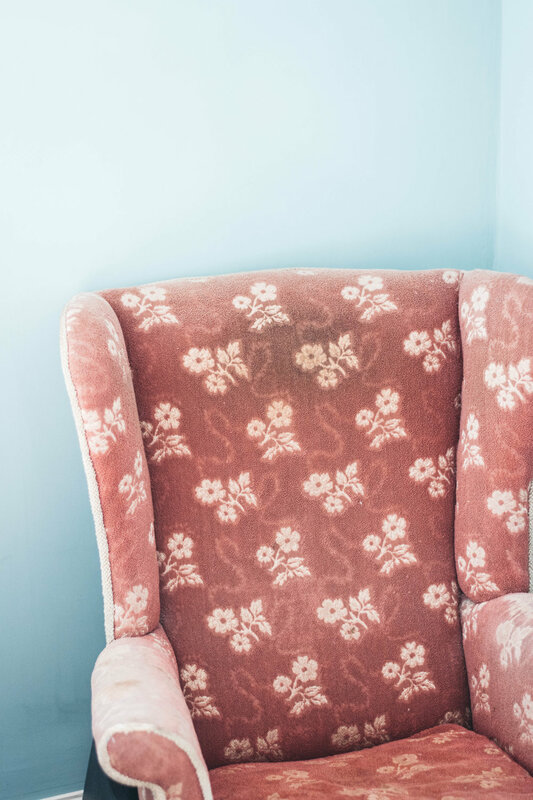 Some landlords are more than happy for you to decorate as you please, and others actively refuse to let you do anything (including hanging pictures) – it’s very much the luck of the draw. But personalising a space is so important to make the space feel like home, and can actively help you to unwind at the end of the day. Use the room to your advantage. This may sound fairly obvious, but it’s important to really take advantage of your space. If you have a mantelpiece or radiator, use it to lean prints on. Or if you have a windowsill, why not sit a dripping plant on there? Every room has different features, so definitely take advantage of all its unique qualities! 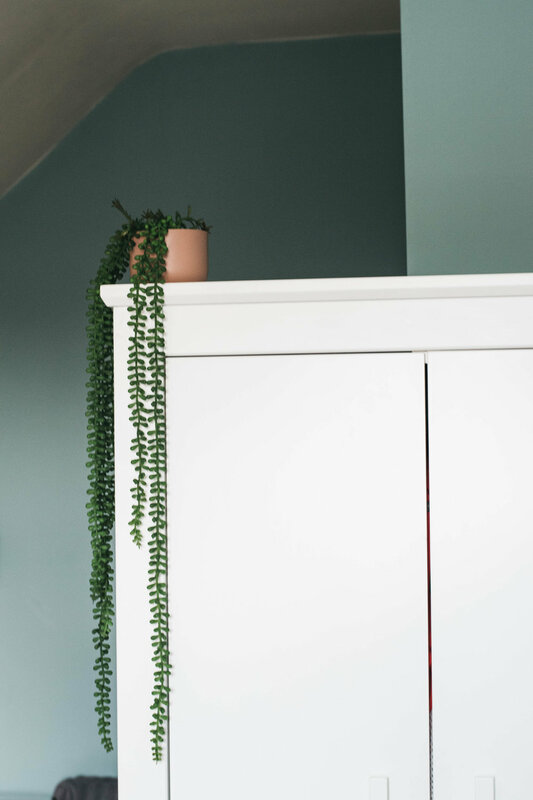 Landlords can be hit or miss when it comes to hanging things on the wall, but if you’re not sure, I’d highly suggest trying some non-damaging hanging solutions. This is completely not sponsored, but 3M has a great selection of hooks and Velcro hanging solutions, which are all I use! If you remove them in the right way, they don’t damage paintwork either. It’s a win-win. I’m a huge fan of the large Velcro style strips for pictures, and the small clear hooks for hanging fairy lights. I have these incredible Desenio prints leant up against this mantle (for the sake of the picture, I definitely used my housemate's mantle…) but they look so chic and minimal. I love the combination of the art faces with the two plant prints – it gives a lived in yet arty vibe to the place! In my actual room, I have the prints leant on my radiator and whilst they don’t photograph well, they really add personality to the room. Desenio is a great way of getting everything in one as you can choose frames alongside your print for a reasonable price. If you want to pick up some Desenio prints, you can get 25% off with the code elliegdickinson. The code is only valid off posters between June 19th and June 21st (except on frames and on handpicked-/collaboration posters). If you have to buy things for your house, I’d suggest sticking to neutrals. This is especially relevant to bed linen – as this can make or break a room! I’m currently in a room with blue walls, so my white bedding and the white furniture that I own, really adds a minimal quality to the room and stops it feeling like a 10-year-old boy’s bedroom! 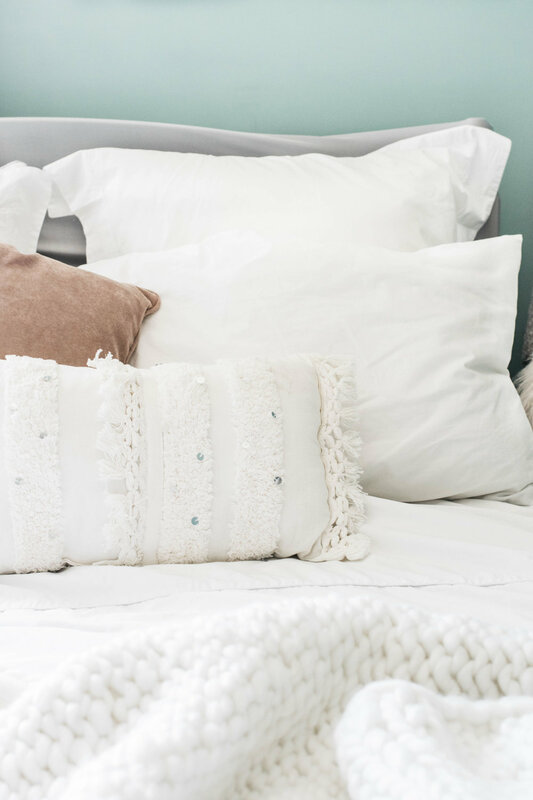 Prior to my blue room, I was in a cream room, so neutral bedding means you don’t have to worry about constantly having to replace it as it goes with everything! Don’t shop for the specific space. If you’re like me and are currently saving to buy a house, avoid buying too much for your rented space. No matter how hard it may be, you don’t want to have wasted money by buying things that may not suit or fit with a new space! As much as I’d love to really furnish my current room, I know it’s not practical and that trends may have changed by the time I buy. If there are pieces of furniture that you really don’t like, why not try updating them with a throw or painting them with a chalk paint? I have this dusty old chair in my room that I give a neutral look by covering it with a grey soft throw. Not only is it now more comfortable to sit in, but it now suits the minimal look in my room. The bed is almost always the focal point of a bedroom - and a combination of square and normal pillows can really help to make your bed look Pinterest worthy. I also love the Berber style cushion that I picked up from Primark! Before this headboard cover, I had a wooden bed frame that was brown compared to the mostly white of my room. I found this on Amazon for less than £20 and it really helps to update the space and add the feel of an upholstered headboard as a temporary measure. It's definitely something I'd recommend looking at if you're on a tight budget or can't change your bed. 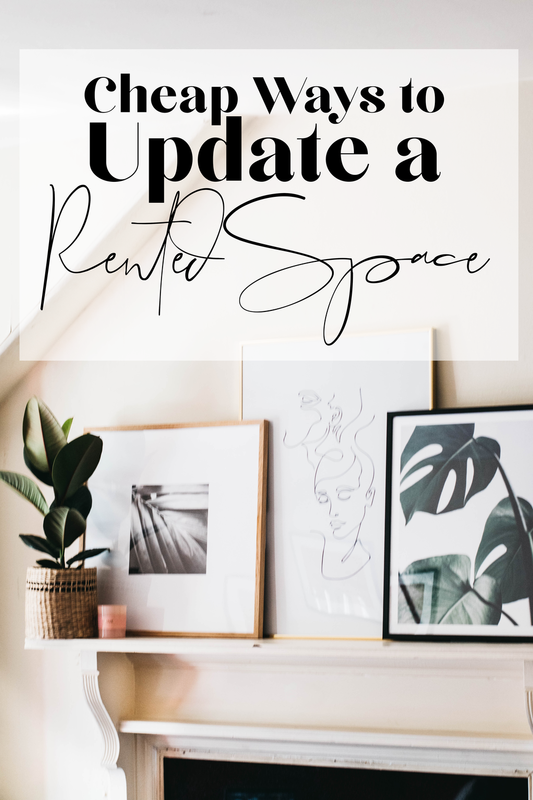 Are you in a rented space? What are your favourite ways to update and personalise the room? *Please note that the Desenio prints were sent to me for the purpose of this post, but this post is NOT sponsored and all opinions remain my own and honest.